NEW YORK STATE (May 31, 2015) – Senator John J. Bonacic (R/C/I-Mt. Hope) is has announced that the NY Senate has passed Senate Bill S.1634, which he sponsored. 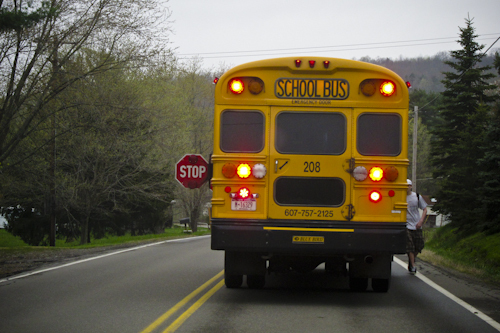 The bill would amend the vehicle and traffic law by increasing the penalties for passing a stopped school bus. Current law provides that an individual convicted two or more times of speeding in a construction zone be subject to 60 days suspension of his or her driver’s license. However, passing a stopped school bus two or more times does not carry the same penalty. This legislation would remedy that inconsistency.